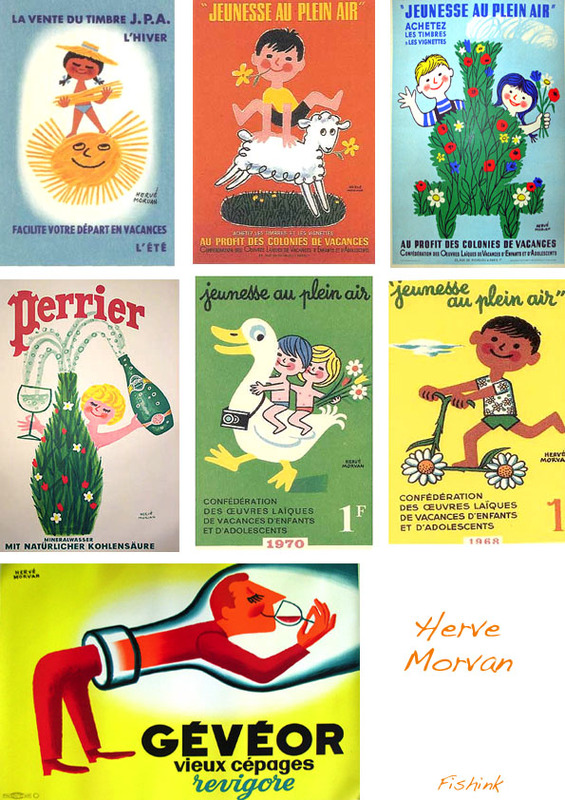 Hervé Morvan, Poster Artist from the 1950’s. 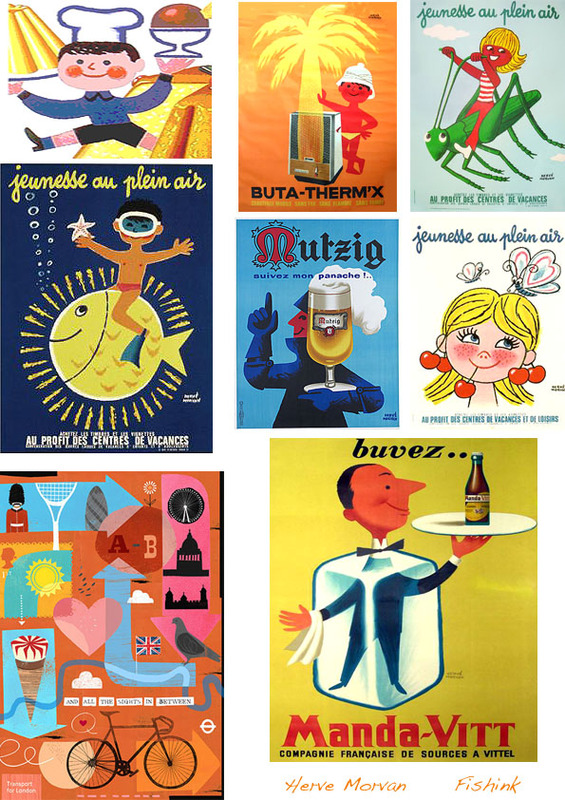 for his advertising poster for Perrier in 1950. 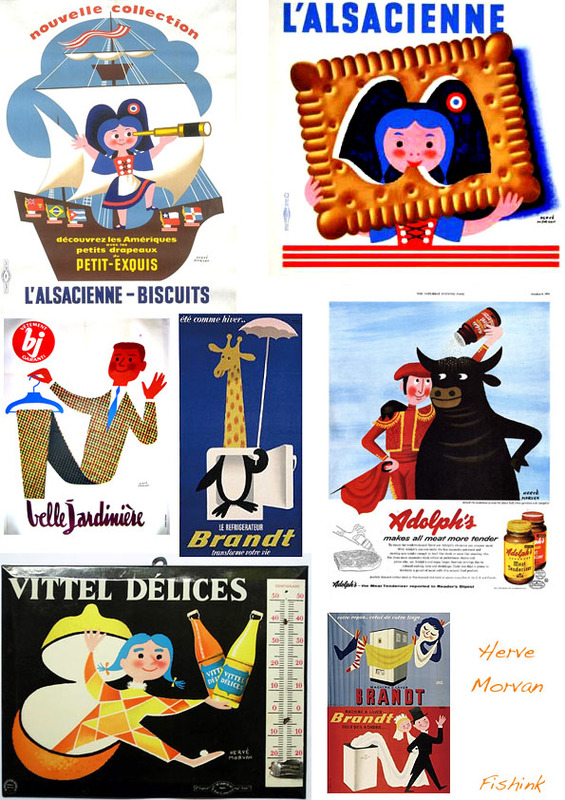 He drew increasing attention from his following works for Vittel, Evian, Danone, and Esso. 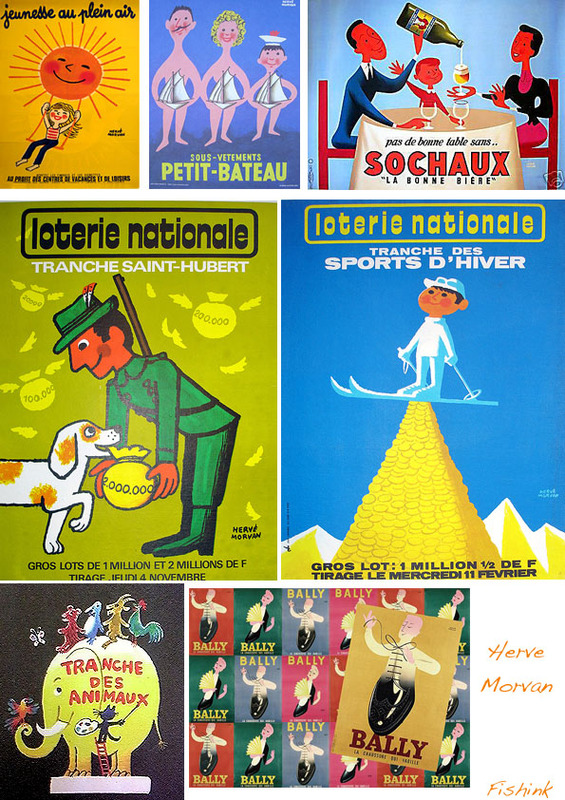 with Savignac’s, and lovely characters often appear in his pieces. 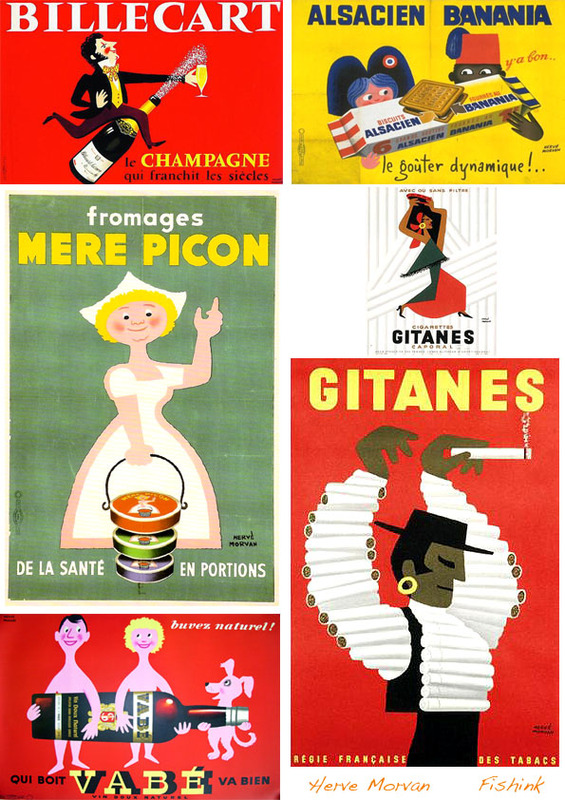 campaigns, alcohol, cigarette, film and music, and greeting cards. to create a new piece for the ‘Where The Wild Things Are’ inspired Terrible Yellow Eyes site. ← Dilka Bear, Artist and Jeweller. 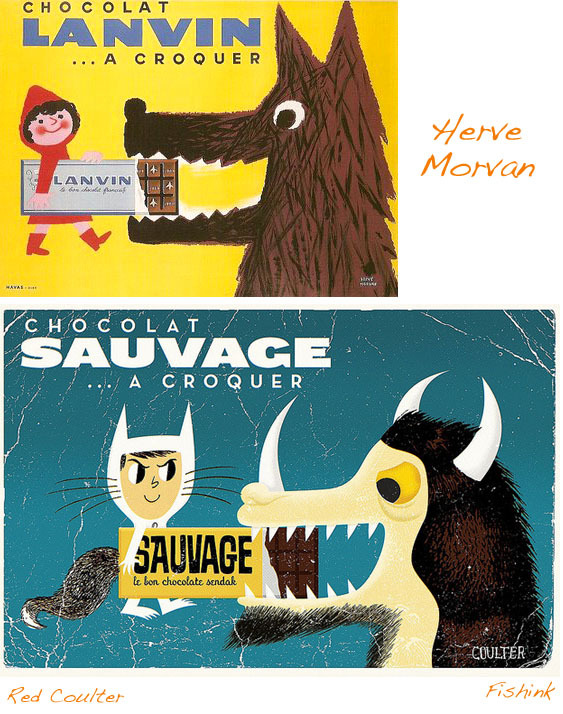 Thanks for the comment, Herve certainly knew what he was doing with his posters ! Thanks for the link, Ivan’s work looks pretty cool too.